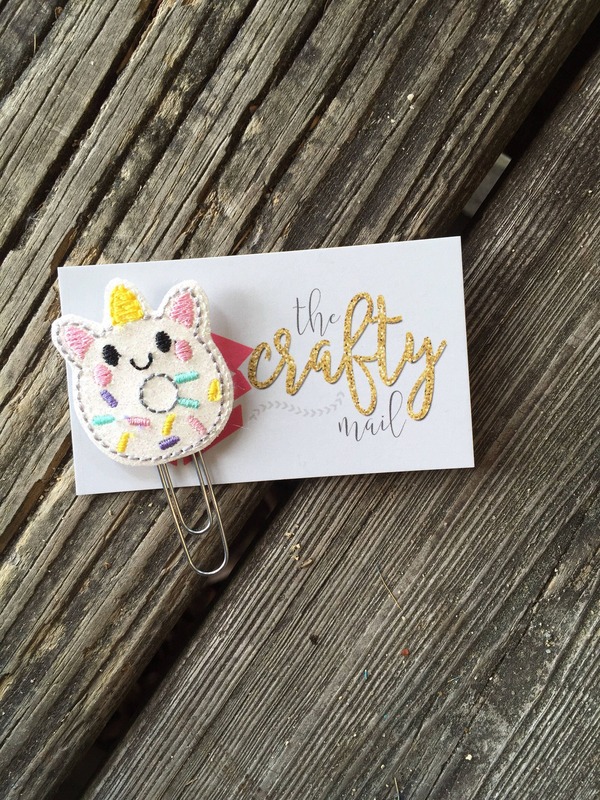 Glitter unicorn donut Unicorn Clip/Planner Clip/Bookmark. Large paper clip with glitter unicorn donut embellishment. Absolutely BEAUTIFUL clip! Amazing quality and designs! !